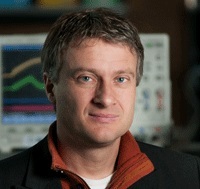 Dr. Andre Marziali is the Director of the Physics Department at the University of British Columbia, President and CSO of Boreal Genomics, and currently leads a Genome BC-funded technology development project. His research interest is to engineer new technologies for genomics and life sciences research. Currently he has a number of BC genomics projects for developing instruments that conducts automated tissue microarray analysis, rapid genotyping, single molecule analysis methods using nanopores, and novel electrophoresis technologies. Dr. Marziali has been involved in a number of critical research discoveries such as electrophoretically concentrating dilute solutions of DNA and RNA molecules into a highly concentrated central region far from the electrodes. Also, at the Stanford Genome Technology Center he developed the instrument that led to the sequencing of Arabidopsis. He founded Boreal Genomics to develop and commercialize methods and instruments to create divergent velocity fields for selective focusing of nucleic acids. At Boreal Genomics, Dr. Marziali will help the project with his knowledge and technology in extracting and concentrating DNA from difficult and dilute samples. His expertise in translating and commercializing research outputs are also invaluable.